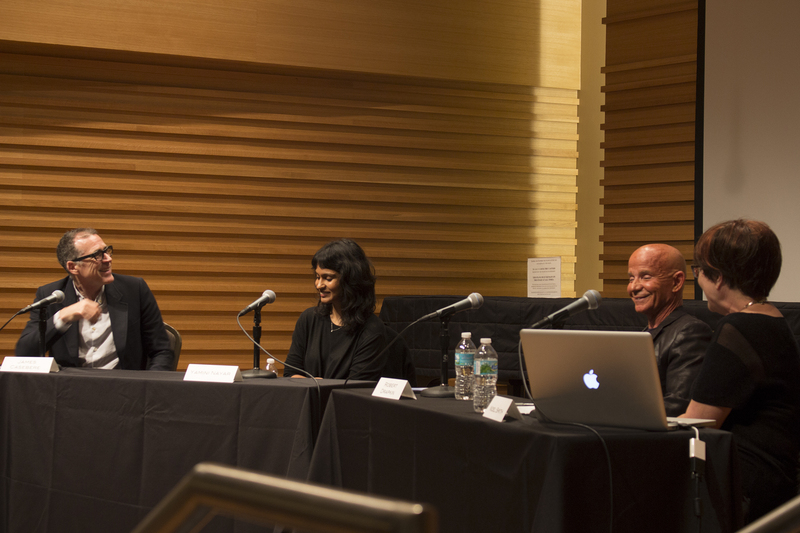 A full house was in session at the School of Music’s Barness Hall to be educated, or rather, Enhanced by the photographic works of visiting artists and educators: James Casebere and Yamini Nayar, visiting artists, as well as collector Dr. Robert Drapkin. Noel Smith, the Institute for Research in Art’s Curator of Latin American and Caribbean Art, directed the discussion that ranged from the artists’ backgrounds in photographic arts to issues and thoughts concerning the digital revolution; how it has transformed how these media function in contemporary art. The panel discussion was highly involved in the Enhanced! theme that dealt with the modification of photographic works through the appropriation of digital and mixed media. Along with photographic works from the visiting artists and Dr. Robert Drapkin contributing vintage selections from his Drapkin Collections, Smith included a selection of contemporary works from a variety of sources. The artists were asked about what it means to use Photoshop software to manipulate photographs compared to the costly labor behind the darkroom process. The artists agreed that it’s simply the way things are done today. Like all media as well as editing programs, “the medium of Photoshop is always evolving.” Nayar drove that point home by saying, “don’t allow technology to guide the idea, let the idea guide the technology.” Commenting on his piece Big Sur, Casebere spoke about the psychological and perceptual components on how the effect of the photography alters our experience in the artistic medium. Nayar spoke about her influences in literature, and how the arts of language and linguistics can be a sort of ‘magical realism’. 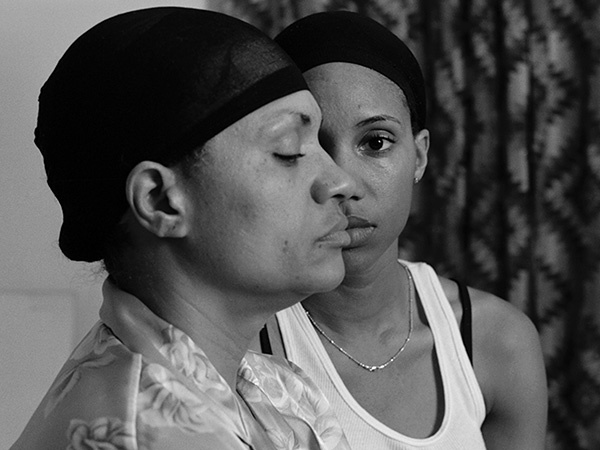 She expanded on how memory and space affects environments, inheritance, and social force; how they can be articulated in photography. “The sculpture having an awareness of the photograph, like staging the image.” These mad art-scientists bring their Frankenstein photographs to life all the time. But some wonder what happens to the ‘Frankensteins’ when their projects are complete. James Casebere, Yamini Nayar, Dr. Robert Drapkin and Noel Smith (Left to right) at the Enhanced! Symposium. This brought out a general curiosity if artists like Casebere and Nayar consider the sculpture-like subjects to be art or just a means to the final product that they photograph and display. Casebere said he is used to throwing away his model pieces once finished. Some people like Dr. Drapkin would find the sculptural subjects to be of equal artistic value to that of their final portrait. (So much so, he jokingly asked Casebere if he could have some of his would-be thrown out sculptures.) Dr. Drapkin added to the conversation with what it was like being around the environment of working artists, which he claimed was truly an accident by allowing an artist at the time to stay at his then studio apartment in New York City. He concluded the panel with a jarring comment, stating that he doesn’t care much for contemporary art because of the nature of artist statements and summaries. “I don’t want to read about the art for it to move me, I just want to be moved by it.” You could feel the tension in the audience, many of them being prospective contemporary artists. Dr. Drapkin wasn’t attempting to insult any artist or the modern art industry, but rather state a crucial matter on how art should be shown and felt rather than it being told and reiterated on the artist’s behalf, so to speak. Sounds like Dr. Drapkin wants the modern art experience to be Enhanced!